As a London as a resident, it’s easy to get into a routine and miss the world of amazing things that are happening in this incredible city. I am definitely guilty of not taking advantage of the many sources of inspiration available in permanent collections and temporary exhibitions. 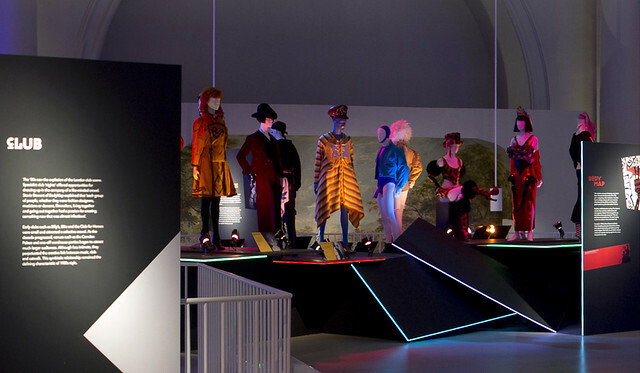 The Victoria & Albert Museum holds probably the most important collection of British fashion design. 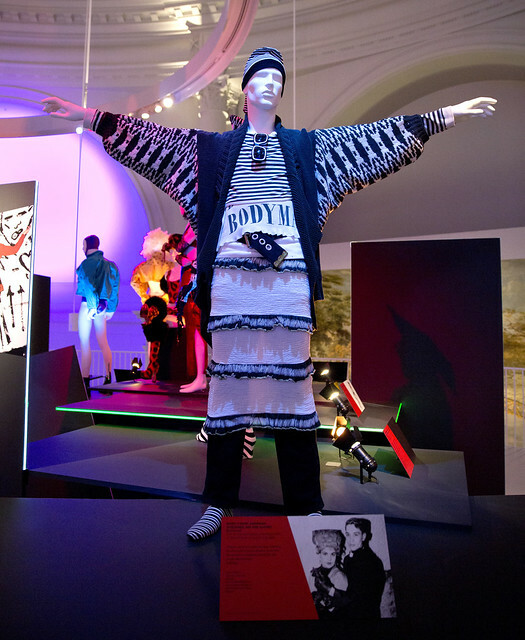 Club to Catwalk: London Fashion in the 1980s (July 2013 – February 2014 at V&A) was an exciting opportunity to see some of the most iconic pieces in the flesh. 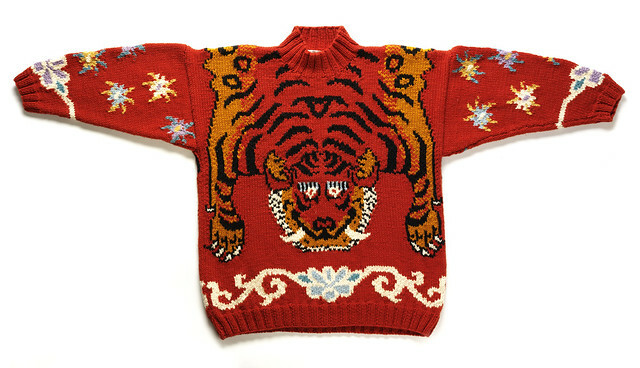 The 80s is most often thought of as a time of fashion nightmares but it was also the renaissance of fashion knitwear. Decadence and outlandish colours and prints made the 80s a period of unrivalled self-expression. The availability of new stretch fabrics led to the birth of the ‘body-con’ silhouette and new technical possibilities, which British designers explored with wild abandon. The exhibition is divided into two parts; the first features catwalk pieces from London’s internationally renowned design set of the period, including John Galliano, Rifat Ozbek and Betty Jackson. It’s hard to a identify with or make sense this collection as its themes are so disparate; African prints, ultra baggy, zoot suits and customised denim (and mohair, of course). This explosion of creativity has little in common with today’s catwalk or high street. The ‘Club’ section, the second part of the exhibition, is a different experience completely. This display explores the theatricality of fashion that emerged from capital’s club scene, where designers and fashionistas expressed themselves with a vision solely in the moment, abandoning references to the past. 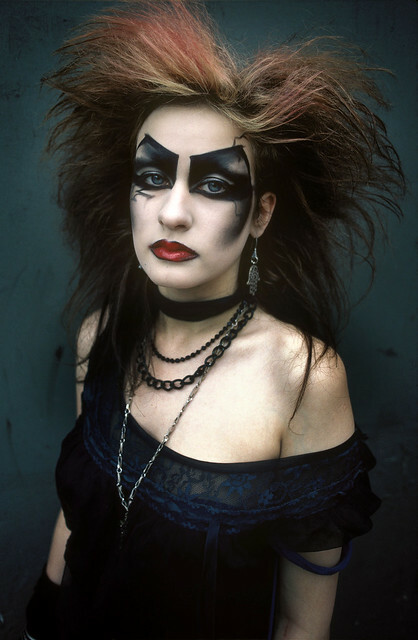 Distinctive looks such as New Romantic and Goth have had a profound influence on present day fashion, and are less alien to us than the ‘Catwalk’ display, although would have appeared shocking and extreme at the time. Knitwear features heavily in both parts of the exhibition, with knitted fabrics unexpected prominent in clubwear. There is energy and excitement in the way designers embraced new stretch fabrics and knitting technology in the 80s, revitalising this traditional medium in a way that still evident today. Even those who find it hard to appreciate their output must recognise the importance of their exploration and creativity.